Last time we checked, there wasn’t an age limit listed for enjoying Disney backpacks. After all, who doesn’t want to connect with their inner princess or prince? Who said that kids are the only ones who get to wear Disney backpacks? Many adults have been experiencing the magic of Walt Disney for decades now, so why should they be judged for continuing to admire the same characters they’ve loved for years? In other words, yes, Disney backpacks for adults is a thing. And it is glorious. It’s never been a better time to show Disney pride. Whether you’re rocking Vans Disney backpacks or you’ve opted for one of the Disney mini backpacks, there are so many great options these days. It seems downright silly not to have at least one of these epic backpacks in your closet. Jansport Disney backpacks have proven to be considerably charming over the past few years. Fans will swoon at all of the fun choices available. There’s even an accessory pouch for those who especially appreciate Edna. Fans who love the classic Mickey drawings can’t go wrong with the Gray Rabbit Mickey Sketch Accessory Case. There truly is something extraordinary for everyone when you’re checking out Disney backpacks for adults. 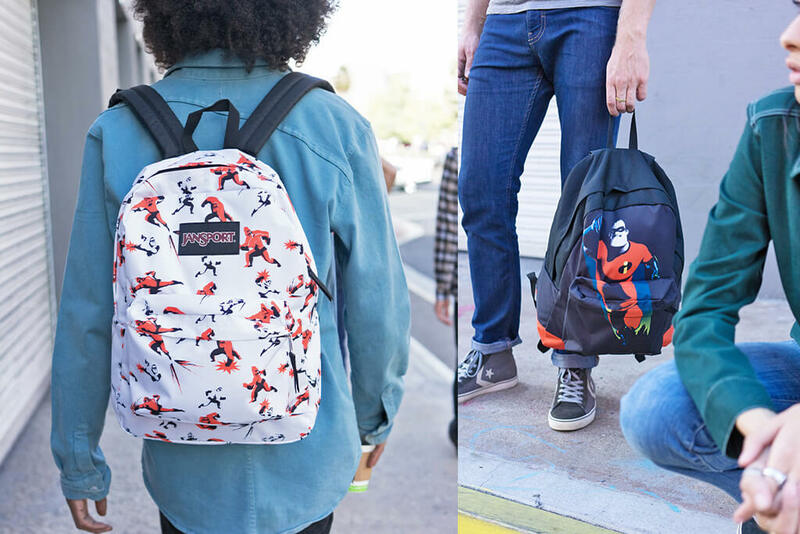 In the most anticipated collaboration, JanSport has teamed with our favorite whimsical Superhero family—The Incredibles. The Incredibles High Stakes backpacks flaunt a cool turquoise blast of Frozone with “FREEZE!” pronounced inside the front zip pocket and a clenched-fist Mr. Incredible flying toward his heroic duty. There’s no reason a diaper backpack can’t be cool. After all, for many women, it pretty much replaces an everyday purse when their baby is still small. And dads will want to get in on the action as well. The Nixon Disney Small Smith SE II Backpack boasts both the colorful design and the roomy interior needed to make it a hit at movie outings and trips to the park. The padded back panel and comfortable shoulder straps soothe a weary mom or dad as they run through all of their errands and make time to squeeze in some fun as well. All the other parents on the block are sure to notice the colorful characters and other details that make these dazzling Disney accessories better than any other types of diaper bags. Channel the sheer joy and fun of Minnie Mouse and Mickey Mouse; pick up one of these backpacks. You never know; your kids may even want to use it when they get older. 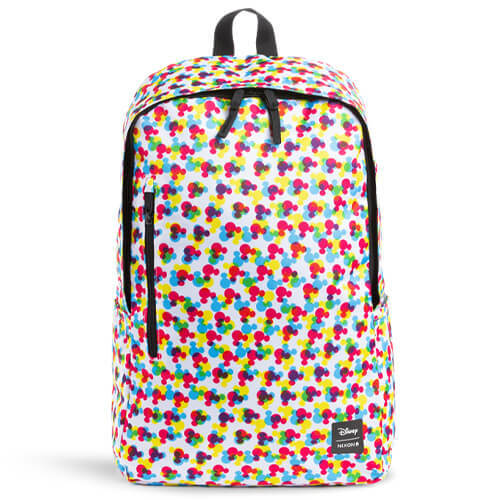 This Nixon Smith Backpack SE II is enhanced with a vibrant Mickey pattern to expel a bit more magic on your journey. This sleek and simple pack features a vertical zip pocket for accessories, an internal 15” laptop pocket, and plenty of inner organizer compartments to store essentials. 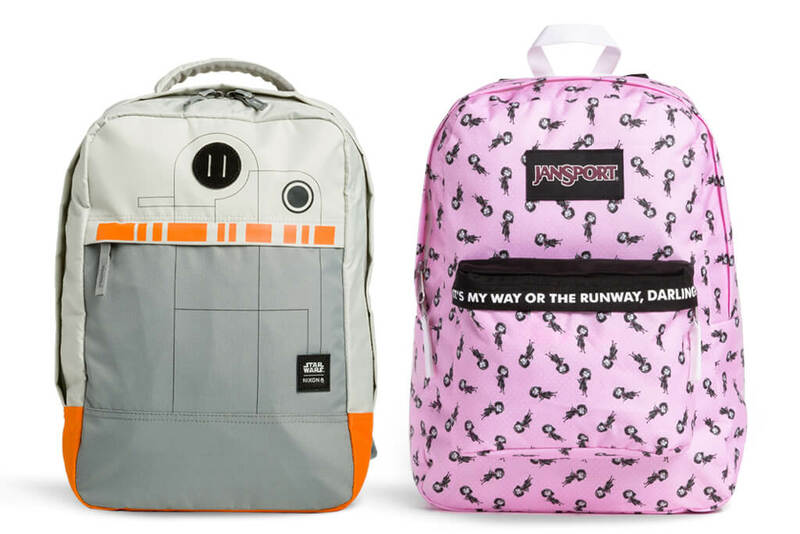 Providing a gender-neutral option, these backpacks are sure to stand the test of time—just like so many amazing Disney movies have. Why go for a stodgy, boring old leather bag when you can use your diaper bag to express your inner creativity and let it all flow? Whether you’ve got girls or boys in your stroller, these Disney bags tend to become the hit of any party. Perhaps it’s fitting that there are so many Disney princesses and princes out there because these diaper bags are sure to make any parent look like royalty. Savvy parents know how to select the best bags. Whether they’re into Elsa or Anna, they’re bound to feel anything but frozen when they’re getting so many compliments for their fun style. When it’s time to go back to school, there’s no reason why kids shouldn’t have the best backpacks to store all of their books and supplies. There’s never been a better time to find elementary school backpacks that boast all of your favorite Disney characters. Transporting pencils and a school lunch has never been so much fun before, and it’s all thanks to the imaginative team at Disney. Dreaming up all of the most sensational storylines and characters, they have proven that a school book bag can become a statement of style. Kids especially love the Disney backpack colors that are available today, as they have a tendency to catch the eye. Whether you’re on the hunt for boys backpacks or you’re seeking out backpacks for girls, you’re bound to find something that’s a big hit. These days, Disney is making the classic school book bag cooler than ever. Partnering with the best backpack brands to create magical designs, Disney has outdone itself. Elementary school backpacks from Disney are now transforming what people think of the school book bag. 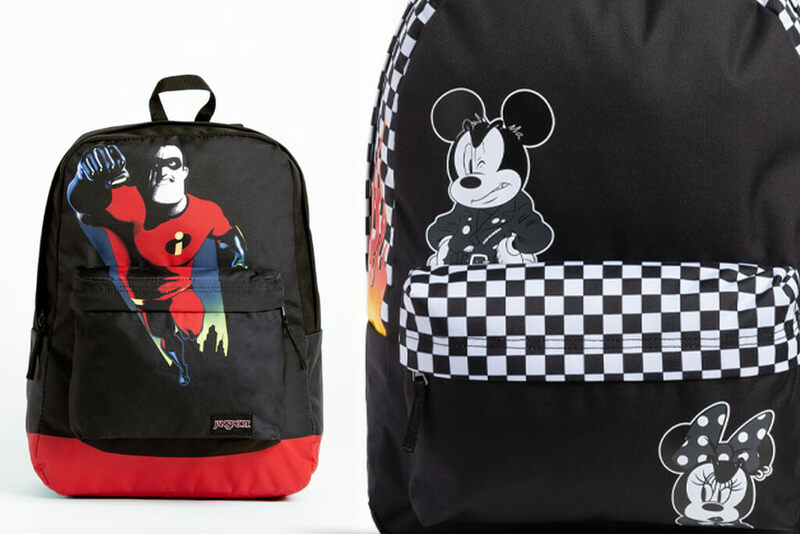 Backpack brands need to be inventive these days, which is why it is so smart of Jansport to partner with Disney in creating iconic boys backpacks, as well as backpacks for girls. There’s something for even the most stylish students in the classroom. While they may not be able to hop on a magic carpet and fly away from school like Aladdin, sassy students seeking elementary school backpacks are sure to find bags to brighten up their school days. When it comes to durability, not all backpack brands are created equal. For students, it’s crucial to find backpack brands that stand the test of time. And, as everyone knows, Disney only works with the most highly esteemed designers out there. They want their timeless, classic tales to be represented in the best way possible—and companies like Jansport know how to deliver in a spectacular fashion. Furthermore, all of these delightful designs and colors will make students want to hit the books and pursue their studies. In a world where distractions occur on a constant basis, these stalwart book bags provide the consistency needed for students to get ahead—all while inviting a bit of magic into their lives. Share your adventures with us! Visit Backpacks.com on Facebook and Instagram and share the locale and some of the memories you captured and you could be featured in one of our upcoming blogs!